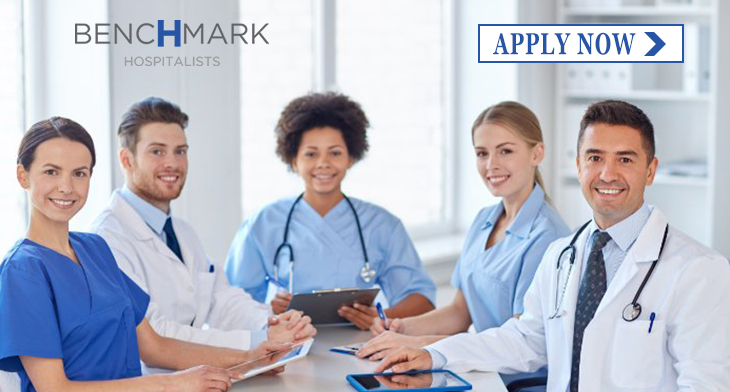 At Benchmark, we are committed to providing the foundation to grow your medical capabilities within a reliable support system. We have created an organizational culture where colleagues feel valued and take a sense of pride in their work. We work together, share knowledge, talents, and skills to achieve common goals. If Benchmark sounds like a place you would like to build your career, what are you waiting for? © Benchmark Hospitalist. All Rights Reserved.